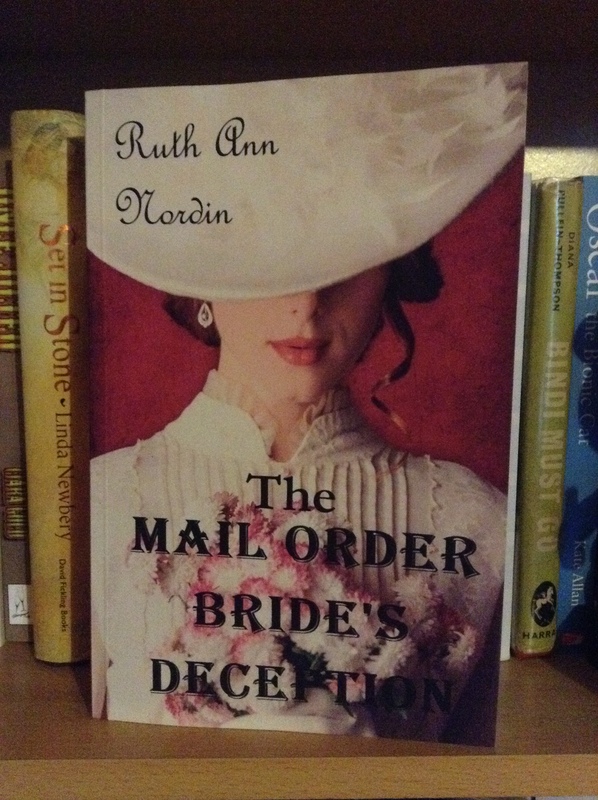 My Little Review of The Mail Order Brides Deception by Ruth Ann Nordin. The Mail Order Brides Deception is a really well written story. I read this book on my kindle but I think it’s available in paperback as well. The book itself is about Sadie Miller who works in a brothel through no fault of her own. However when she comes across a young woman called Hazel McPherson whom changes her life forever with her last breath. 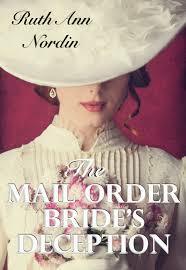 Hazel tells Sadie to take her place and become Allen’s Mail Order Bride. Sadie Miller takes this freedom from her old life and becomes Hazel McPherson as she meets Allen and his son in Rapid City. Allen Grover can’t believe his luck when he meets Sadie, who he thinks is Hazel. She’s beautiful, willing to leave all her money and wealth behind her and make a home with him and his son. However he can’t help but wonder why she left Atlanta to be with him? Sadie starts to see that the love of a good man can change a lot inside a person, as she fights to keep her past from seeping into her future. However secrets have a way of coming out! Will Sadie be able to keep hers? I couldn’t put this book down and I ended up reading it until the early hours. It’s a very thought-provoking, heart-breaking, gripping and heart-warming story all at the same time. I would recommend this book to anyone that loves a good romance. ← Review of Windmills And Tulips by Deborah Allen. Thanks- it was a great read. This sounds like an interesting read, especially the idea of the real Hazel wanting Sadie to take her place. I suppose that maybe the real Hazel did not want to be a mail order bride. I wonder why? I guess I will have to read it to find out! It was an interesting read, its was more what happened to Hazel that made her give Sadie this chance. It has a good few twists. It does sound interesting! I’ve always been curious about why any woman would want to become a mail-order bride — all sorts of reasons, I suppose, many relating to not having any other options. I also wonder how many actually work out for the couples… Great review! Thanks- It was an interesting book to read. I find that interesting too, why women did go off to be Mail-Order Brides. I think in some cases it’s though little choice and possible one way to have a future and a family if you lived in a area where there were not enough men for the women or women for men.